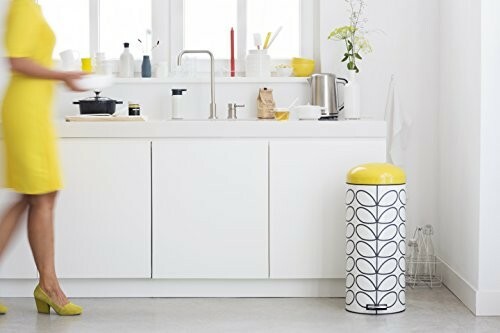 The yellow kitchen bins on My Kitchen Accessories are sure to add a touch of life and brightness into your kitchen environment and make the task of waste disposal a little less mundane and boring. 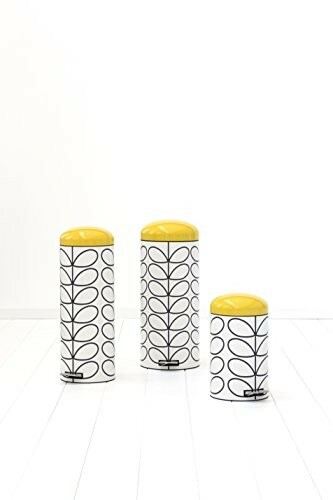 With a range of high quality and stylish yellow bins to choose from in a variety of styles and capacities you will be able to find a yellow bin for your kitchen that fits in perfectly with the rest of your yellow kitchen accessories. 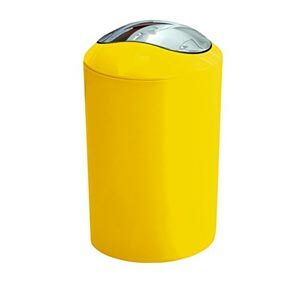 Starting as small as 3 litres and going all the way up to 60 litres, below you will find a number of foot pedal operated kitchen or compost bins as well as push top operated bins for the kitchen in lemon yellow from some of the best manufacturers of office and kitchen bins in the United Kingdom. 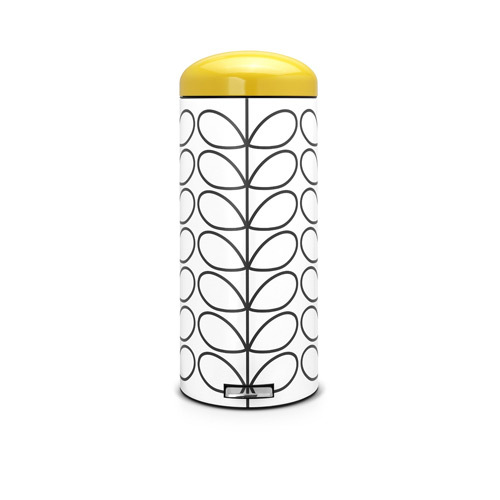 Find yellow bins from some of the best brands including Brabantia, Premier Housewares and German company Hailo. 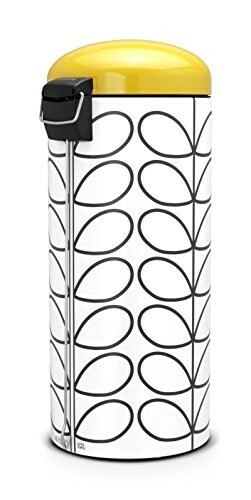 Our recommended kitchen bin brand is Brabantia due to the amazing reviews and ratings every one of their bins receive. 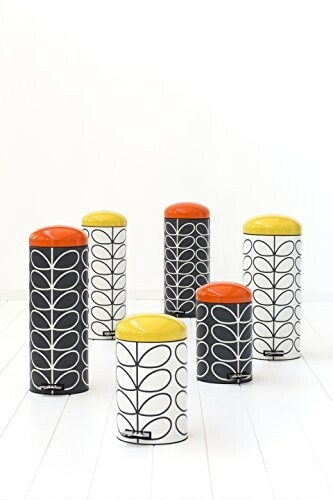 If you are insistent on quality then Brabantia is a good choice to consider especially since they offer a full 10 year guarantee on all of their bins. 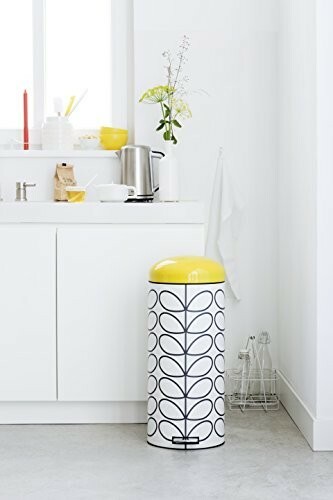 If yellow is your colour of choice when it comes to decorating your kitchen with accessories then a bright yellow bin is a great addition to add a bold ray of sunshine into the area. 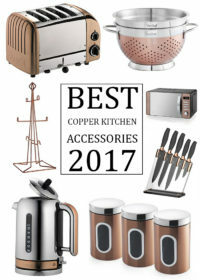 To take a look at the wider range of kitchen bins that we have on offer on our website click the blue button below to find other coloured kitchen bins that may complement your kitchen. 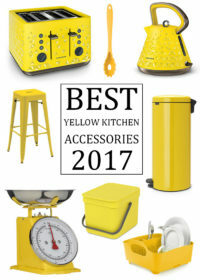 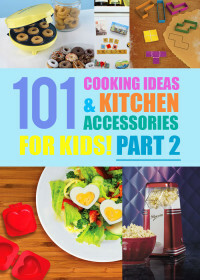 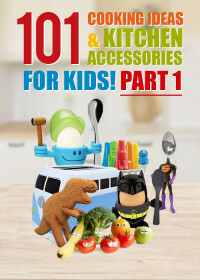 Or if you are on the look out for more yellow kitchen accessories you can take a look at all that we have listed by clicking the yellow button below.